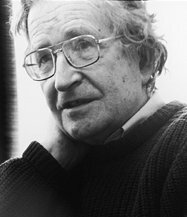 Avram Noam Chomsky is an American linguist, philosopher, political activist, author and lecturer. He is an Institute Professor and professor emeritus of linguistics at the Massachusetts Institute of Technology. I am writing to endorse formally the National Initiative for Democracy.